You are here: Home / Books / SciFi / Star Trek / Television / Spock Must Die! This is a novel by James Blish, a notable science fiction writer who began releasing stories in 1940, before that, he was a member of the Futurians, along with Issac Asimov, which was a group of science fiction fans that spawned many editors and writers. It started in the late 1930’s, based in New York City. James Blish also coined the cosmological term ‘gas giant’. This story was the first original Star Trek novel, earlier stories being comics, show adaptations and a children’s book. The story starts with McCoy, Scotty and Kirk discussing the philosophical ethics of teleportation, reflecting on whether the person who disappears is really the same person on the other side. Scotty proposes an experiment, to find out once and for all. Kirk is notified by the bridge that the peace treaty, imposed by the Organians, has abruptly ended and the Organians home world can’t be reached, raising fears that the planet may have been destroyed (From episode: Errand of Mercy). Scotty makes modifications to the main transporter to test his theory and Mr. Spock volunteers himself as a test subject. 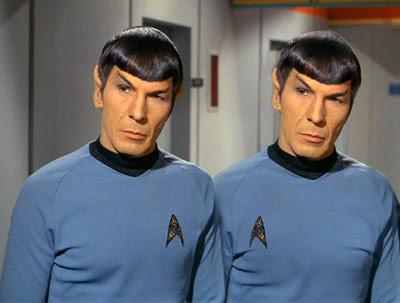 The experiment results in the creation of an exact cloned copy of Spock. From here, the story takes the scenario seriously. Kirk makes a good point shortly after the incident, by saying that there can only be one first officer, the clone making an obvious obstacle to the chain of command. The Enterprise enters the Organian system to investigate and find that the planet is being affected by Klingon technology, intended to end the peace treaty by interrupting their psychic abilities. Captain Kirk, Scotty and Mr. Spock beam down to discover the reason for the peace treaty being neutralized. 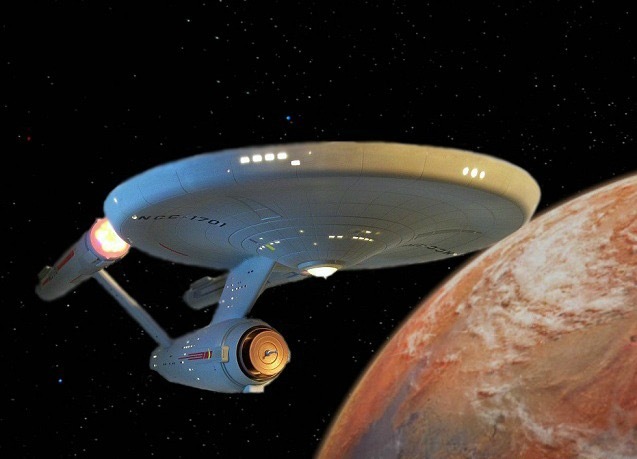 With Klingon battle cruisers converging on the planet, Kirk orders Sulu to take the Enterprise to Starbase-28. Below on the planet, Organia has changed drastically from their last visit. The surface littered with a rocky landscape and dark grey coloured skies and fog. This resulted from the psychic disruption of the Organians, they evolved beyond the need for bodies and other physical comforts, their world was made from their thoughts. With some difficulty, they find the Organian high council and are led to the Klingon device, where Spock and Scotty disable the field by dismantling the components. The Organians reestablish control of the planet and impose punishment upon the Klingons. To conclude, for such a early novel in this series, this was very entertaining and excellently captures the style of the original series. This is an example of a story for Star Trek, written by an author who was inspired during a much different age of science fiction. The discussions about technology are a bit dated, for example, but succeeds in driving the story, regardless. 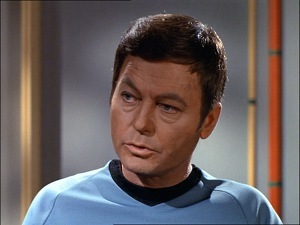 The author did a great job of representing the main characters, a favourite moment being when McCoy uses his medical expertise to identify which of the two Spocks is the replicate. As well, this book has a bit of mystery which kept me guessing as to where the story would lead, so I’ve decided to leave out those details from this review. For such an early novel, I really enjoyed reading it. It does a great job of capturing the style of the show and representing characters. The scenario of might be a bit played out at this point, I even saw one commenter even compare it to the problematic third season, but the story takes itself seriously enough to forgive that comparison. I recommend this novel for anyone with an interest in science fiction, it was easy to flip through and really captures the spirit of the original series and feels like another adventure of the old crew.